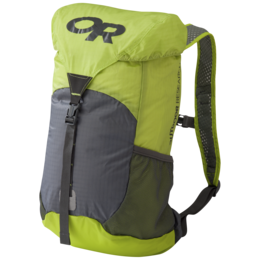 The new 18L Payload Pack was designed with climbers in mind; from daisy chains and haul handles, to helmet and rope straps and an interior mesh pocket with exit portal for your hydration bladder - this pack exceeds expectations from approach to summit. 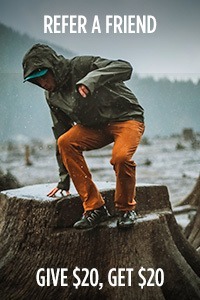 An extremely durable 420D ripstop exterior and water-resistant PU coating don't weigh down this light and packable piece. Rest assured, from dayhikes to hauling gear, the Payload can pack it all in. Got this bag to replace the ultralight daypack that I used to carry in my large backpack. So, wanted this for short day jaunts when in the alpine. It's okay. You obviously feel anything/everything that's at all pokey through the back, and it's a bit awkward feeling with any weight in it at all. Creeps up a bit. I found I wanted to keep my thumbs in front straps when I had a camera and jacket in the back to help it ride my snugly. 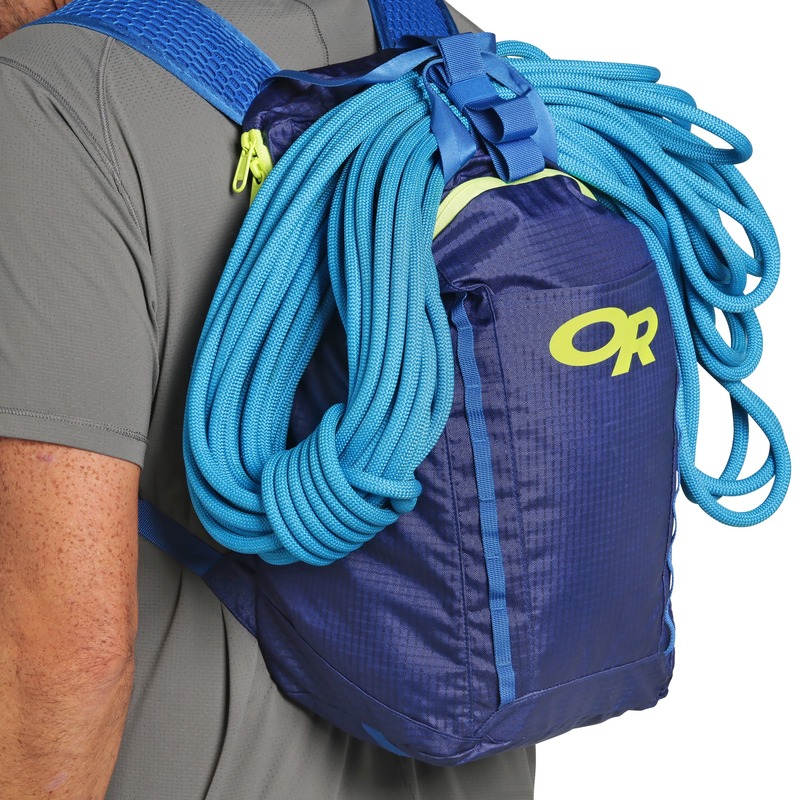 I used it for a multi-pitch climb, and a day hike. 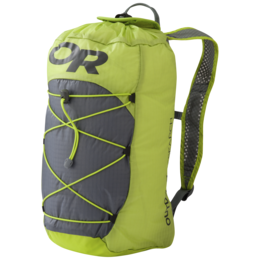 Was looking for an 18-20L pack for multi-pitch climbing. 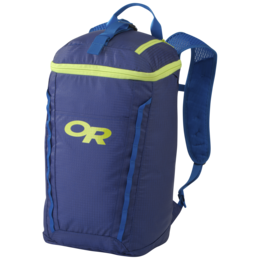 My requirements were as small as reasonable, spots on the outside to clip shoes/gear, good rope carry strap, and hydration compatible. This bag nailed all but one of those perfectly. It carries rope great! 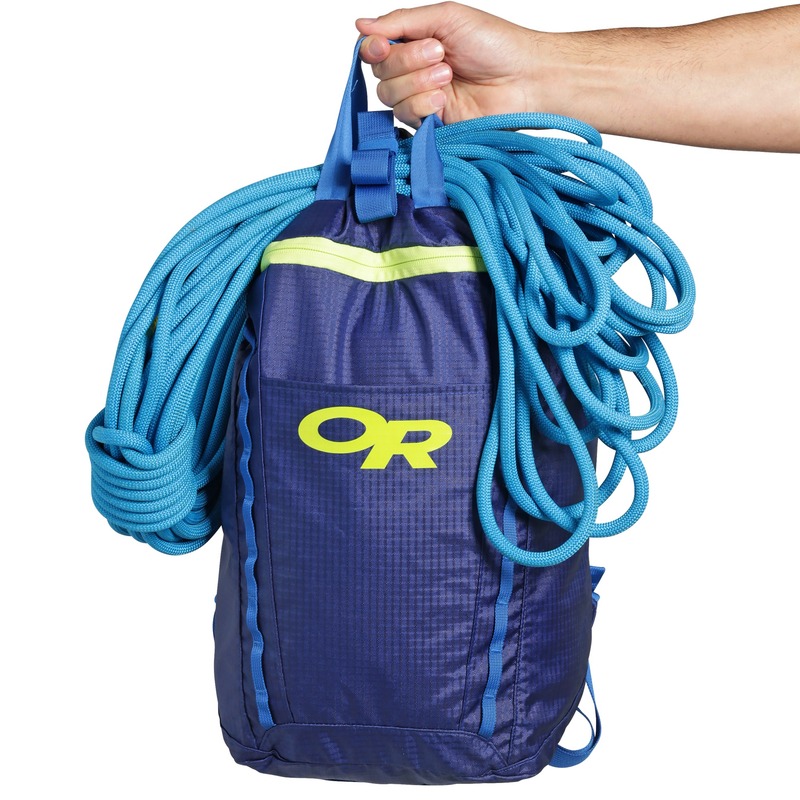 It's small, compact, and is the perfect size for carry-over day routes. I'm able to fit a full rack, water, first aid, my harness, and an extra layer inside the main compartment. It climbs very comfortably as well. My biggest complaint is the hydration setup. I like climbing with a bladder because then I'm not constantly taking my pack on and off. There is a very floppy hydration "sleeve" on the back panel (that also holds the super flimsy foam back panel, but there's no freaking clip or strap to hold the bladder upright! 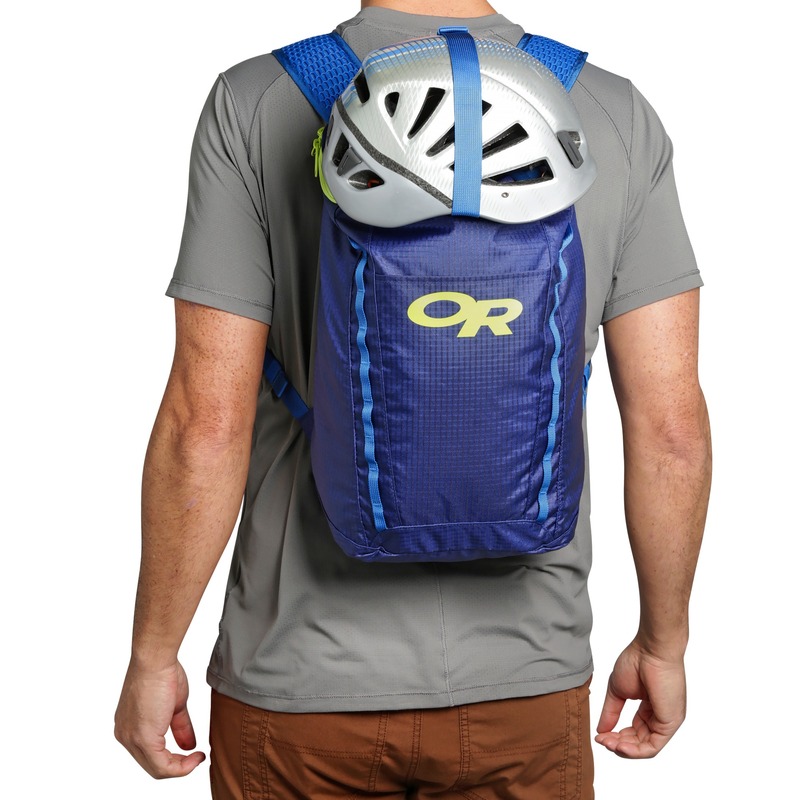 Also, there's no sort of horizontal or diagonal strap along one shoulder strap to hold your hydration hose. 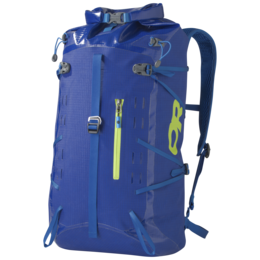 I can't help but wonder if anyone at BD actually tried their own pack with a bladder. These are two very small details, but they would have easily made this pack an 11/10 if they had them. Light, sturdy, good shape, good price. I have more packs than I do shoes...well maybe not, but close. 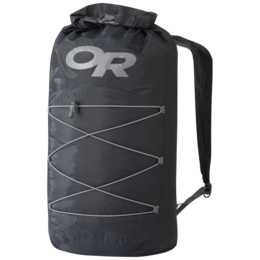 This pack fit the following niche for me: Very small and easy to store in my truck or in my internal frame pack. It's so light I don't mind the extra weight. 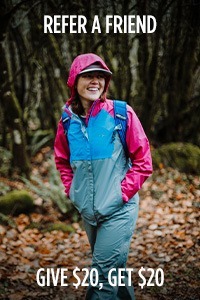 It's perfect for impromptu day hikes when I need to stash a snack, water, & clothing that I shed as activity warms up. 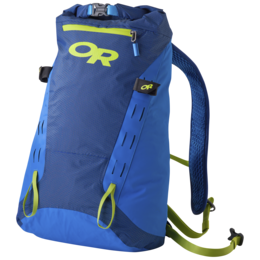 It has a pocket for hydration system, convenient lid storage and boxyish shape that could handle a computer if you wanted. Great pack and a lot of style. 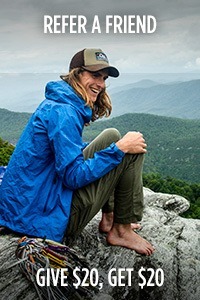 Smallest and super chill for carrying a few things when on a mountain trail or in town. 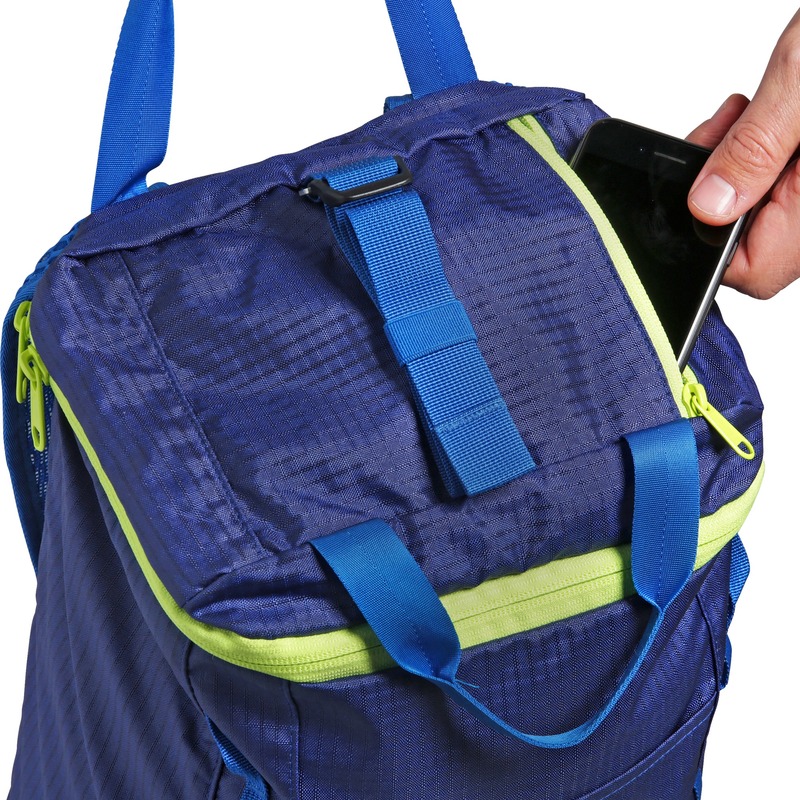 Great back for school. It is just the right amount of space for my laptop and books and the top pouch is perfect to fit my calculator and pencils.